Definition at line 955 of file setypes.h. Definition at line 956 of file setypes.h. 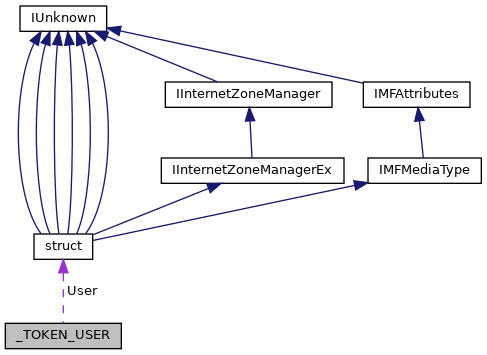 Referenced by _GetUserSidStringFromToken(), AddUserProfiles(), AuthzpQueryToken(), CreateInitialSystemToken(), CsrSetProcessSecurity(), DisplayTokenSids(), DwInitializeSdFromThreadToken(), GetUserAndDomainName(), GetUserNameW(), LoadUserProfileW(), LsapAddSamGroups(), LsapLogonUser(), LsapSetTokenOwner(), NtQueryInformationToken(), OpenUserRegistryPathPerProcessId(), PlayLogonSoundThread(), RecycleBin5_Constructor(), RegOpenUserClassesRoot(), RunningAsSYSTEM(), SeQueryInformationToken(), test_LookupAccountSid(), test_token_attr(), TestsSeQueryInformationToken(), WhoamiUser(), and wmain().